Harrisburg, PA – Governor Tom Wolf announced $467,000 in PAsmart grants for Northwest Pennsylvania today as part of his PAsmart initiative. The grants will support the northwestern region’s plastics, advanced manufacturing, and building and construction industries with on-the-job training opportunities and private- and public-sector partnerships to help Pennsylvanians in this region gain the skills they need to succeed in the 21st century economy. The governor launched PAsmart last year to bolster STEM education, apprenticeships and job training. The governor’s budget unveiled Tuesday builds on the success of PAsmart to create opportunities for Pennsylvanians from birth to retirement. The governor’s Statewide Workforce, Education, and Accountability Program (SWEAP) provides opportunities for Pennsylvanians from birth to retirement. The proposal expands access to early childhood education, increases investments in schools, and partners with the private sector to build on the PAsmart initiative, a groundbreaking approach to workforce development for Pennsylvania’s economy. 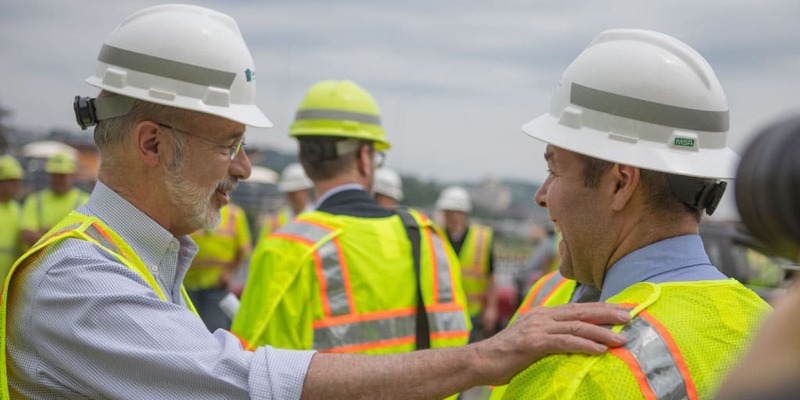 Governor Wolf’s goal is to develop innovative solutions that close the skills gap and rapidly meet the needs of employers. The following PAsmart grant winners and amounts were awarded in Northwest Pennsylvania. To view full details, visit Northwest PAsmart Grants. NWPA Job Connect – A $60,000 pre-apprenticeship grant was awarded to develop sponsored certified pre-apprenticeships in Northwest Pennsylvania and invest in education and training opportunities that support economic growth by building a pipeline of skilled and ready workers for registered apprenticeship programs in the Northwest area. Greater Erie Community Action Committee – A $45,950 pre-apprenticeship grant was awarded to administer a registered pre-apprenticeship program. The program will recruit, train and educate students about the opportunities in plastics in Northwestern Pennsylvania. Thomas P. Miller and Associates – A $280,555 Ambassador Network grant was awarded to convene a consortium of partners to identify local needs and provide quarterly webinars, technical assistance and promote apprenticeship growth and retention. NWPA Job Connect – A $43,252 Next Generation Manufacturing Industry Partnership grant was awarded to create a partnership in the Advanced Manufacturing industry. NWPA Job Connect – A $36,984 Next Generation Building and Construction Industry Partnership grant was awarded to create a partnership in the Building and Construction industries. Department of Labor & Industry (L&I) Deputy Secretary for Workforce Development Eileen Cipriani met with the Greater Erie Community Action Committee (GECAC) at Executool Precision Tooling in Erie today to highlight the new SWEAP proposal, as well as GECAC’s pre-apprenticeship PAsmart grant award. GECAC’s registered pre-apprenticeship program will recruit, train and educate local students about opportunities in plastics. The pre-apprenticeship program will offer a robust overview and hands-on experience in injection molding, and will build on the growing plastics industry in Erie County. Executool Precision Tooling is a registered employer under the pre-apprenticeship program, and partner Erie Together will assist in recruiting local employers and school districts to participate. Related technical instruction will be offered through Penn State Behrend’s Office of Community and Workforce Programs. The pre-apprentice program will be the first step for students who want to explore the plastics trade. Cipriani toured Executool’s manufacturing facility in Erie and met with GECAC and Erie Together staff, Executool company officials and local school district administrators. Executool staff led the tour of the facility shop floor, including manufacturing equipment such as milling machines and lathes that pre-apprentices will operate as they are introduced to CNC basics and the basic mechanics of plastic injection molding. Apprenticeship and pre-apprenticeship programs approved by L&I’s Apprenticeship and Training Office (ATO) provide employer-driven training to create a more productive, highly-skilled workforce for employers and help reduce employee turnover. The program provides job seekers with increased skills, and a nationally recognized credential to support future career advancement and increased wages. The Wolf Administration created the ATO in 2016. Since then, the office has registered 137 new sponsors and 187 new apprenticeship programs or occupations, bringing the total number of registered apprentices to 16,940 statewide.